The Spektrum™ AR12310T PowerSafe receiver is a feature-packed 12 channel receiver with integrated full-range telemetry. 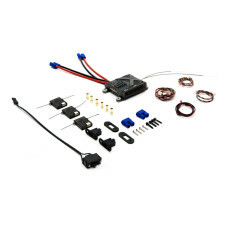 Each comes with built-in connection ports for RPM, Flight Pack Voltage and Temperature sensors as well as an X-Bus port for additional telemetry options. If you have a DSMX®/DSM2® transmitter capable of 11ms frame rates, the AR12310T will deliver a lightning-fast input-to-output response that is perfect for high-performance applications such as aggressive 3D, IMAC, and Turbine Airplanes. Each receiver includes 3 remote receivers that take advantage of Spektrum MultiLink™ technology. This patented technology eliminates the reflected signal fading and antenna blind spots that can affect all 2.4GHz systems. A ground-breaking feature introduced on the AR12310T PowerSafe Receiver is the built-in receiver battery energy sensors. Giving pilots added awareness of the load and mAh used by the servos, retracts, lights, etc. used by each battery. Current Gen 2 Radio firmware already supports this function. Also, as with most of the current receiver lineup, these feature a bind button that gives pilots an easy alternative to the age-old bind plug. 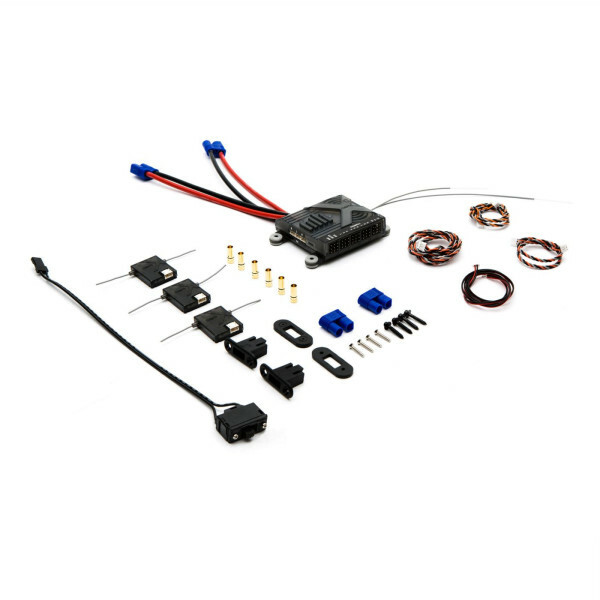 SPEKTRUM DX6 6-CHANNEL DSMX TRANSMITTER WITH AR610 RECEIVER (SPM6750)The programming you need with n..
SPEKTRUM DX8 GEN 2 DSMX 8-CHANNEL TRANSMITTER ONLY (SPMR8000)The next-generation DX8 takes 8-channel..
Key FeaturesCarbon fiber front caseMachined-aluminum, quad-bearing gimbalsErgonomic leather side gri..
Spektrum™ AirWare™ Software. Remarkably Easy to Use.From its beginnings, the people behind Spektrum ..
Key Features Patent-pending gimbal design with spring configuration switch DSMX Wireless trainer l.. SIMPLY "TAP" INTO ITThe Spektrum™ iX12 radio is an intelligent 12-channel transmitter matched with a..
Key Features8-channel flexibility and accessibilityAirplane, Helicopter, Sailplane and Multirotor pr..